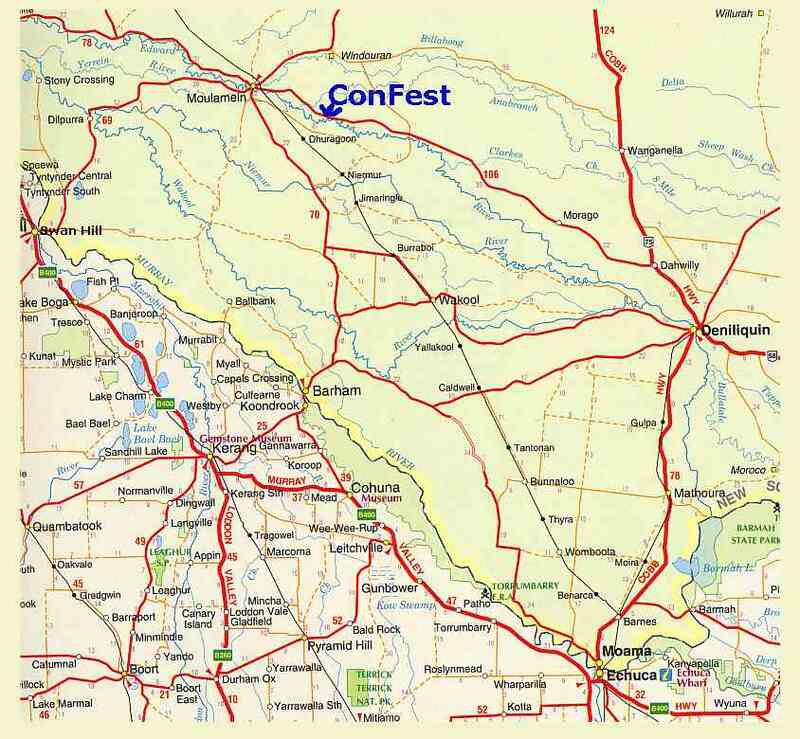 As you may see on the map above, the ConFest site is on the road between Moulamein and Deniliquin, about 13KM from Moulamein on the right side if you are coming from Moulamein. Watch out for the ConFest sign and the DTE countdown signs as you aproach. fresh bread, meat, fruit and vegetables, frozen items, personal items etc. All this only 13kms away from the ConFest site.